We aimed to evaluate the clinical and radiological results of an intramedullary fixation system used in surgeries for fractures and deformities of osteogenesis imperfecta where we applied a new design corkscrew tipped intramedullary nailing. Twenty extremities of 14 osteogenesis cases, who underwent surgery and to whom corkscrew tipped intramedullary treatment was applied, were retrospectively scanned. Ambulation, discrepancies in the lenght of extremities, deformities and joint mobility range were all noted before the operation. Postoperative union rates, complications and our experience regarding the nail were also evaluated. Six tibia and 14 femurs were operated using corkscrew tipped telescopic nails. Two bones were operated due to non-union, while seven bones underwent surgery due to acute fractures and 11 bones due to deformities. All the bones were seen to have achieved the aimed union. No major complications were observed. Infection was present in two cases. Corkscrew tipped telescopic nail is a safe and effective method of fixation in patients with osteogenesis imperfecta. Osteogenesis imperfecta (OI) is an autosomal dominant or recessive connective tissue disorder caused by the deficiency of Type I collagen production associated with the deficiency of collagen Type I alpha 1 chain and collagen Type I alpha 2 chain. This disease causes problems in all tissues that contain Type 1 collagen. In addition to many systemic problems such as blue sclerosis, otosclerosis, cardiac diseases, elasticity in the joint and thinning of the fascia, it also causes the loss of the normal ossification of the endochondrial bone (1). This results in easily fragile bones. Although recurrent fractures show spontaneous healing trait, they lead to increased deformities developing with age (2). In OI cases, osteosynthesis performed with intramedullary nailing is the gold standard for surgical treatment to be administered following fracture and deformity. Intramedullary nailing, together with its corrective effect on deformity, is also effective in preventing recurrent fractures. Intramedullary nailing should be performed in a way that does not hinder the growth of children and should minimize the need for repetitive surgery as the child grows. There are a limited number of intramedullary nail types designed for this purpose and research is underway for the ideal nail. Today, telescopic nails with elastic or extendable features are frequently resorted. With the elastic nails, there was a problem of migration (retraction) over time, while the problem encountered in telescopic nails was the need to open the joint (arthrotomy) during fixation to prevent migration, which posed another challenge (3-5). Surgical procedures performed by opening the joint pose a risk for infection development, limitation of movement and early arthrosis. In our clinic, we applied corkscrew tipped telescopic rods, which are extendable and designed in our country, to 20 extremities of 14 osteogenesis imperfecta cases operated due to fractures, failure of union, or deformity in long bones. What makes it different from the commonly resorted other nails is the fact that its distal tip is curled like a corkscrew. Thanks to these curls, the movement of the nail in the bone is prevented. Arthrotomy is not required to immobilize the distal part and no additional incision is needed. We aimed to observe the clinical and radiological efficacy of the telescopic corkscrew tipped nail, developed in our country and started to be used in practice in long bone fractures due to osteogenesis and deformities. Ambulation, discrepancies in the lenght of extremities, deformities and joint mobility range were all noted before the operation. Postoperative union rates and our experience regarding complications and nail complication were also evaluated. Twenty extremities of 14 OI cases to whom corkscrew tipped telescopic nail technique was applied, between the years 2014-2016 were retrospectively evaluated. In addition to clinical and radiological follow-ups, union rates, union times, complications, and nail loosening or failures, if any, were noted. All cases were placed in the supine position under general anesthesia and the nail entry site was prepared by opening from the proximal of the bone tissue to be nailed. First of all, bone osteotomy was applied to the sites where the deformities were located by inserting thin nails (Figure 1). When thin nails were advanced and reached the epiphysis line, 1-2 pieces of Kirchner wires and the distal end of the nail were fixed. The entry site was fixed by placing the thick nail over the thin one after obtaining the proper length and cutting it in the bone. All cases underwent casting after surgery. Ambulatory patients were allowed to bear weight after their casts were removed starting from week 6. Rehabilitation was started after the 6th week for non-ambulatory patients. Of the cases operated, five were female, nine were male. The mean age was 6.92±3.04 (minimum: 3-maximum: 13). Six of the nails were applied to the tibia, and 14 to the femur. The mean follow-up time was 23.42±5.43 months. Nailings were performed due to 2 non-unions, 7 acute fractures and 11 deformity problems. Elastic nails of the old operation were present in 6 of the cases operated due to deformity and first these were removed during the surgery. In all cases, it was observed that there was improvement in the deformities after the operation. Radiological and clinical union was achieved in all of the bones. There was no delayed union or non-union. Infection was observed in 2 of our patients, one of which was superficial. Debridement and antibiotherapy were applied to the patient with the deep infection after implant removal (Table I). Bending, loosening or migration were not observed in the nails at all. It was noticed in 2 of the cases that the tip of the nail had perforated the bone cortex and protruded out of the bone, which was fixed with additional osteotomies during the operation. Repeated fractures and associated severe deformities in children with OI make orthopedic surgery inevitable (Figure 2). Surgical treatment protocols in these cases have recently become clear. The type of treatment regarded as gold standard is intracanal (intramedullary) nailing (6). However, the characteristics of the nail applied in intramedullary treatment might differ from those in adults in that the growth in children continues and the bone quality in osteogenesis cases is low in addition to the fact that the channel diameter is too narrow. For this purpose, it is necessary for the nails to be small in diameter so that they will give minimum damage to the epiphyses and extend together with the bone as the child grows older. The use of nails without extension properties may require repeated surgeries (Figure 3). To reduce the number of recurrent surgeries to a minimum, telescopic nails are used in childhood. These nails have great advantages compared to other nails in terms of reducing the risk of recurrent fractures, having extension features, allowing the prevention of new deformities. Disadvantages can be listed as being weak for carrying the mechanical load due to narrow nail diameter, damage to the growth nuclei and damage to the joint by performing open surgery on neighboring joints for locking operations at both ends to prevent the movement of the nail in the bone (7). The aim of all new nails being developed is to remove the existing disadvantages. In order to eliminate the disadvantages of open joint surgery, corkscrew tipped telescopic nails were developed by İnan et al. (8) and early results were reported. We also wanted to indicate the results and observations in our clinic. High complication rates have been reported nearly in all of the nails applied in OI cases both for the patient and the applied nails. Zionts et al. (9) reported a total of 40 problems, with 17 major 23 minor in a series of 40 cases. In 10 cases they had to replace the implants. In these studies, they observed that major problems were more common in patients under 5 years of age, and recommended that surgical applications be performed on patients over 5 years old. In our cases, three were under 5 years of age, and no complications have been observed in the follow-up so far. Cho et al. (10) reported that nail breakage was frequently observed as the child grew up, and that there was a mechanical failure in long thin nails in their telescopic nail applications performed on 72 osteogenesis cases with a mean follow-up of 7 years. We have not encountered failure or loosening of the implants, which might be due to a relatively short follow-up period (average 2 years) in our applications. Postoperative infection was seen in 2 cases, one of which was superficial. In the cases with OI, the skin is thin, fragile and weak. That’s why the skin is prone to pathologic conditions and infections (11). In one of 14 patients (7%), infection was observed at the wound site, which might call for systemic antibiotherapy and debridement (Staphylococcus aureus). Elastic nails used in childhood fractures and which have no extension properties may cause problems such as delayed union or non-union as they do not provide absolute stability in the fracture line. Gamble et al. (12) reported non-union in 10 of 52 OI cases. It was also observed that the non-union rate was higher in the fractures where deformity was most severe. With the deformity corrected, union was achieved following intramedullary nailing application (12). Union occured in two of our cases to whom elastic nails were applied. We observed that in these two cases where the elastic nails were removed and telescopic nails inserted at the same time, union occured in 6 weeks (Figure 4). In our clinic, corkscrew tipped nails have been used in the osteogenesis cases that meet operation indications since 2014. The simplicity of surgery and the fact that radiation exposure during surgery is less than other applications is a positive aspect we have observed in these applications. Sharpness of the tip of the nail is a negative feature we have observed during the operations as the nail could protrude by piercing the cortex in weaker bones, which must be carefully considered during surgery. Corkscrew tipped telescopic nail application is a method that can be applied safely in OI cases. Necessity to open the joint to prevent the movement of the nail and the need for artrotomy for previously applied nails have disappeared with this method. Ethics Committee Approval: Retrospective study, Informed Consent: Consent form was filled out by all participants. 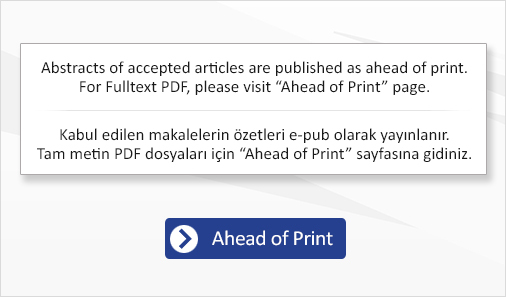 Surgical and Medical Practices: Hüseyin Günay, Concept: Muharrem İnan, Design: Muharrem İnan, Data Collection or Processing: Hüseyin Günay, Levent Küçük, Analysis or Interpretation: Hüseyin Günay, Levent Küçük, Literature Search: Hüseyin Günay, Levent Küçük, Writing: Hüseyin Günay. 1. Forlino A, Marini JC. Osteogenesis imperfecta. Lancet 2016;387:1657-71. 2. Forlino A, Cabral WA, Barnes AM, Marini JC. New perspectives on osteogenesis imperfecta. Nat Rev Endocrinol 2011;7:540-57. 3. Cho TJ, Choi IH, Chung CY, Yoo WJ, Lee KS, Lee DY. Interlocking telescopic rod for patients with osteogenesis imperfecta. J Bone Joint Surg Am 2007;89:1028-35. 4. Göçer H, Ulusoy S, Çıraklı A, Kaya İ, Dabak N. Osteogenezis İmperfektalı Hastada İntramedüller Çivi ile Kırık ve Deformite Tedavisi. Med Bull Haseki 2014;52:126-9. 5. Lee K, Park MS, Yoo WJ, Chung CY, Choi IH, Cho TJ. Proximal migration of femoral telescopic rod in children with osteogenesis imperfecta. J Pediatr Orthop 2015;35:178-84. 6. Reing CM. Report on new types of intramedullary rods and treatment effectiveness data for selection of intramedullary rodding in osteogenesis imperfecta. Connect Tissue Res 1995;31:77-9. 7. Nicolaou N, Bowe JD, Wilkinson JM, Fernandes JA, Bell MJ. Use of the Sheffield telescopic intramedullary rod system for the management of osteogenesis imperfecta: clinical outcomes at an average follow-up of nineteen years. J Bone Joint Surg Am 2011;93:1994-2000. 8. İnan M, Sarıkaya Aİ, Görgün B. Osteogenezis imperfekta tedavisinde tirbüşon uçlu teleskopik çivi kullanımı: Erken dönem sonuçlarımız. Acta Orthop Traumatol Turc Supp 2015 (SB 8-1):31. 9. Zionts LE, Ebramzadeh E, Stott NS. Complications in the use of the Bailey-Dubow extensible nail. Clin Orthop Relat Res 1998:186-95. 10. Cho TJ, Kim JB, Lee JW, et al. Fracture in long bones stabilised by telescopic intramedullary rods in patients with osteogenesis imperfecta. J Bone Joint Surg Br 2011;93:634-8. 11. Hansen B, Jemec GB. The mechanical properties of skin in osteogenesis imperfecta Arch Dermatol 2002;138:909-11. 12. Gamble JG, Rinsky LA, Strudwick J, Bleck EE. Non-union of fractures in children who have osteogenesis imperfecta. J Bone Joint Surg Am 1988;70:439-43.